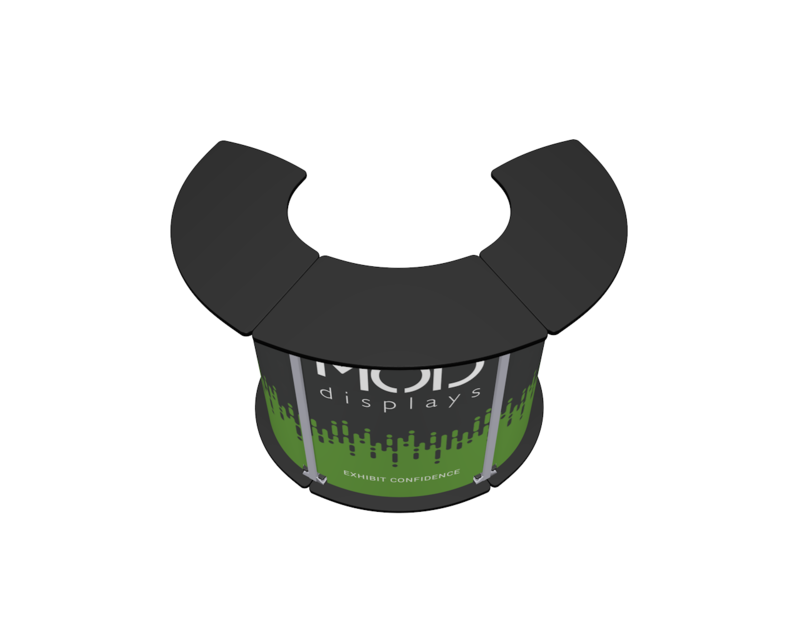 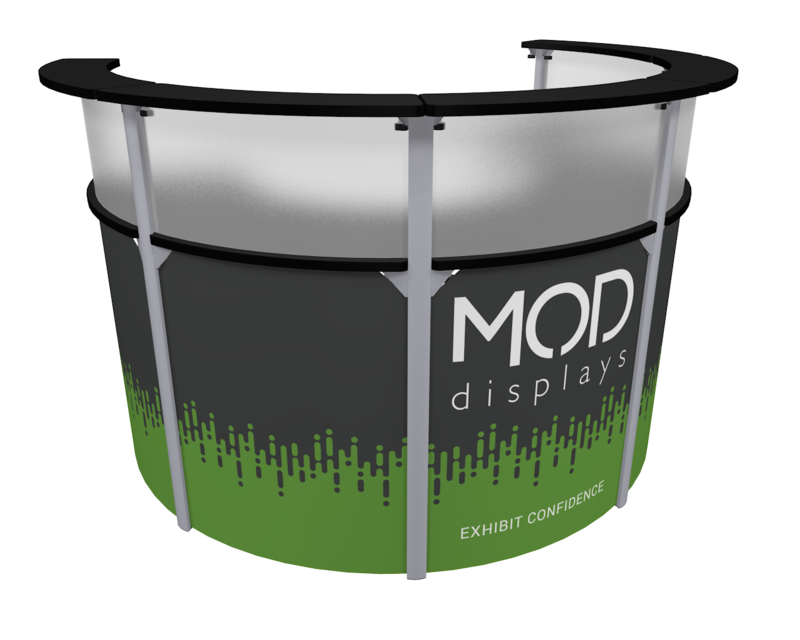 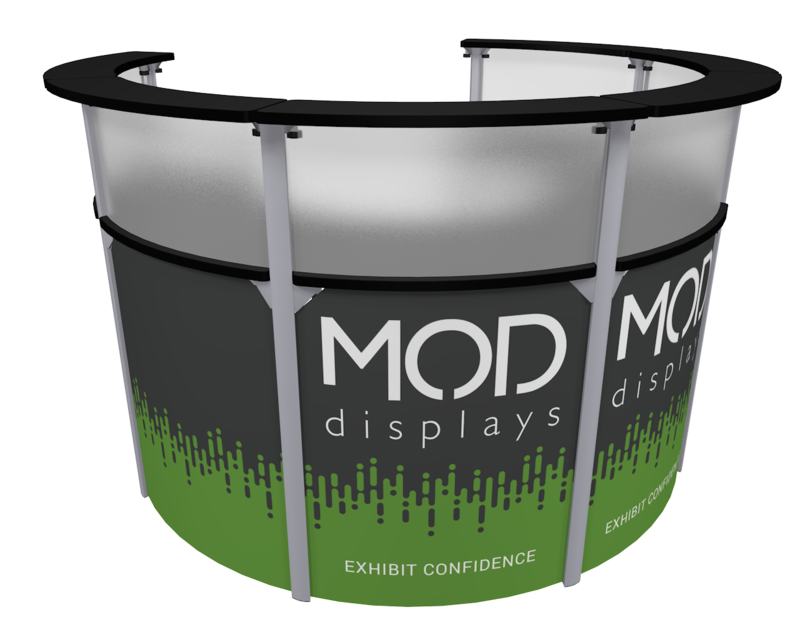 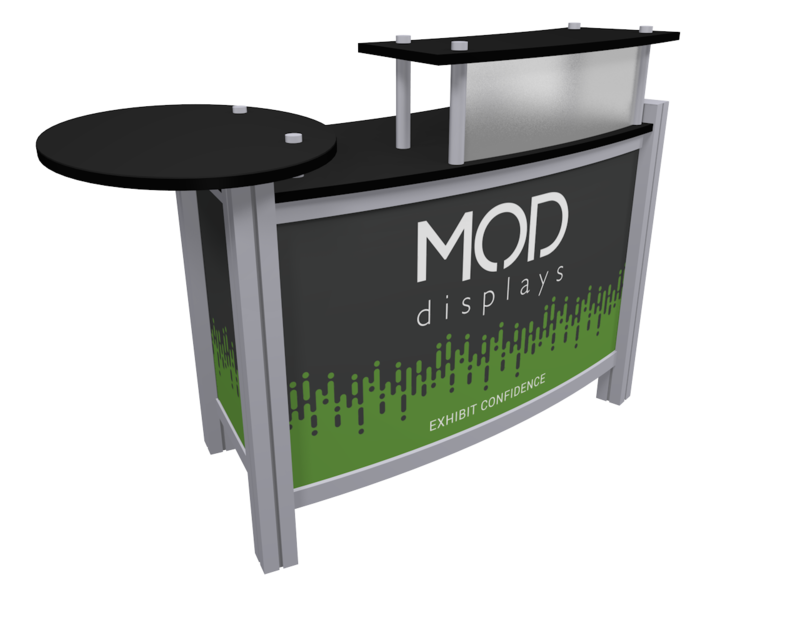 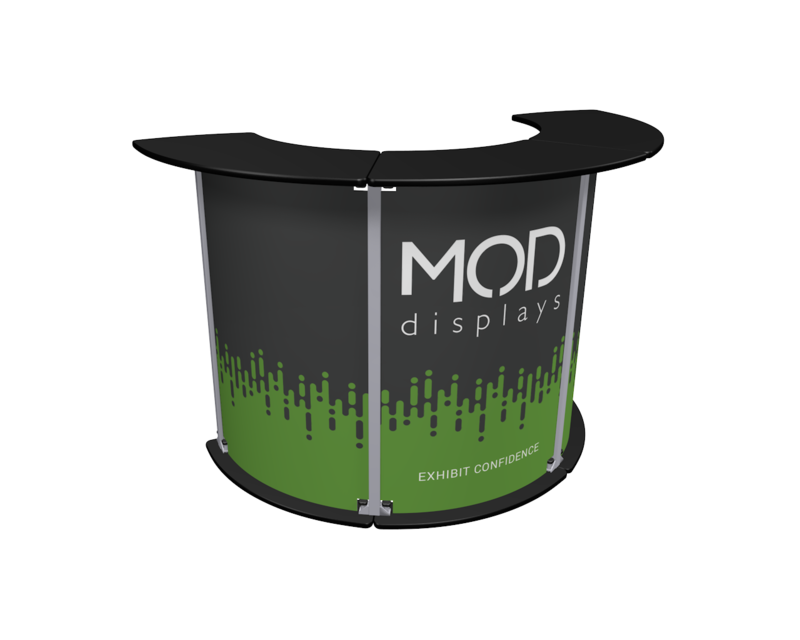 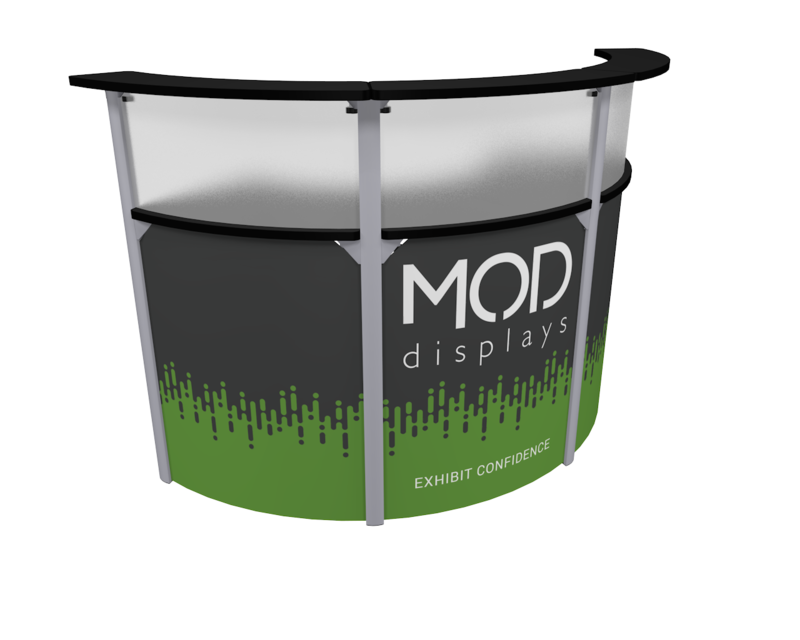 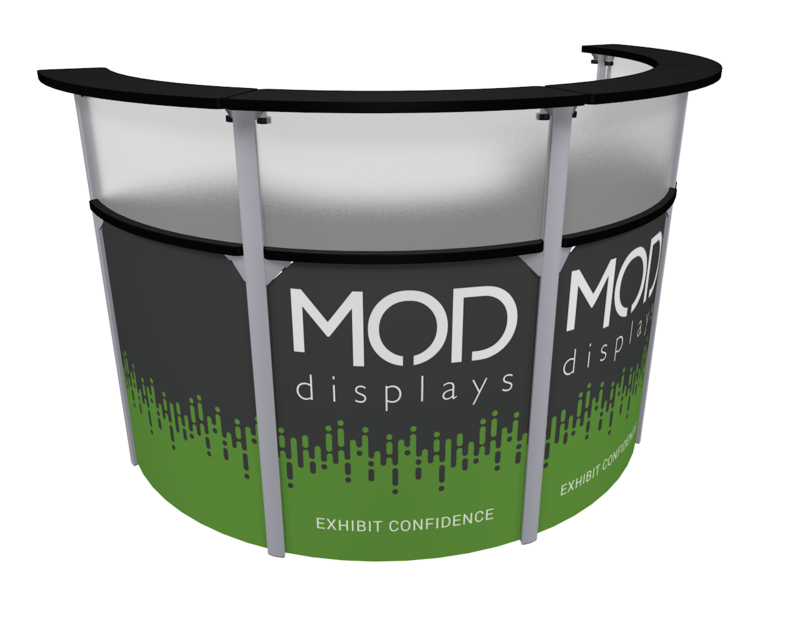 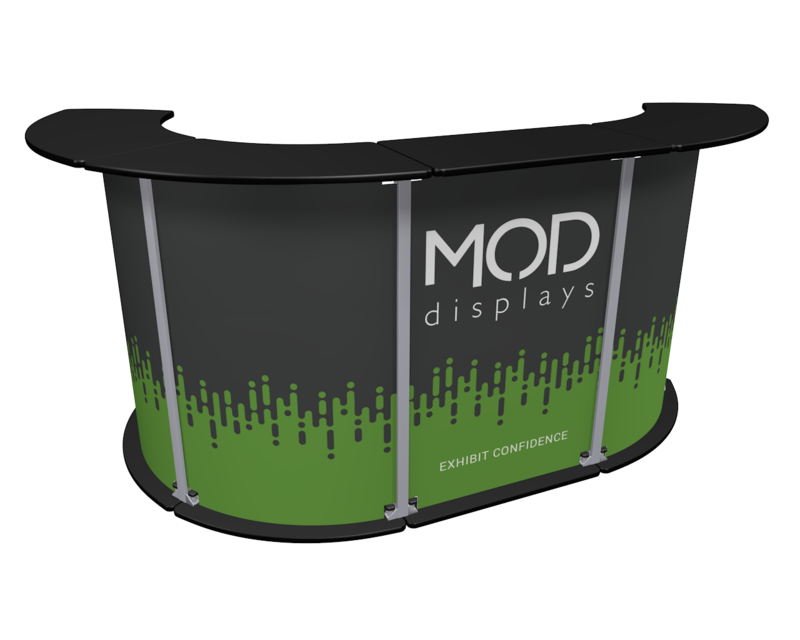 Half round shaped display counter provides a compact workspace with ample room for assisting customers. 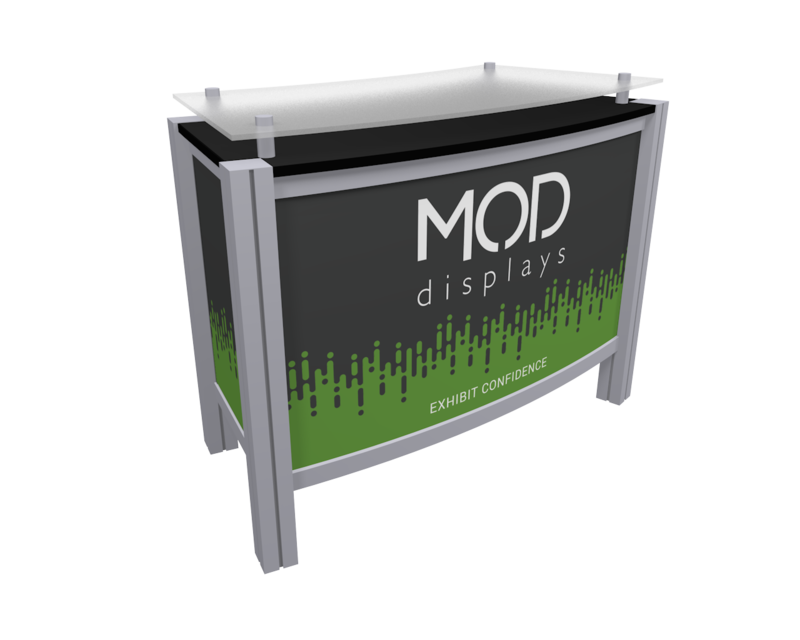 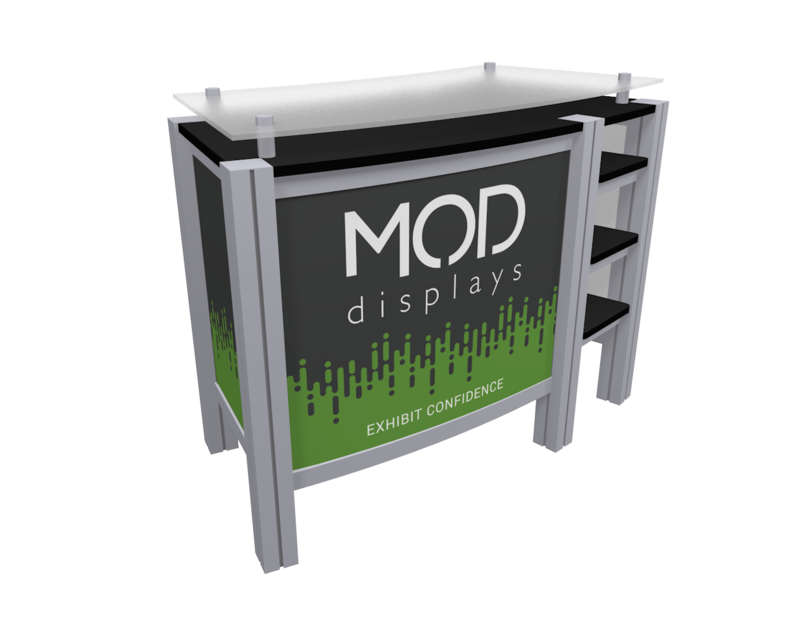 Featuring durable aluminum extrusions and optional graphic printing on any or all infill panels. 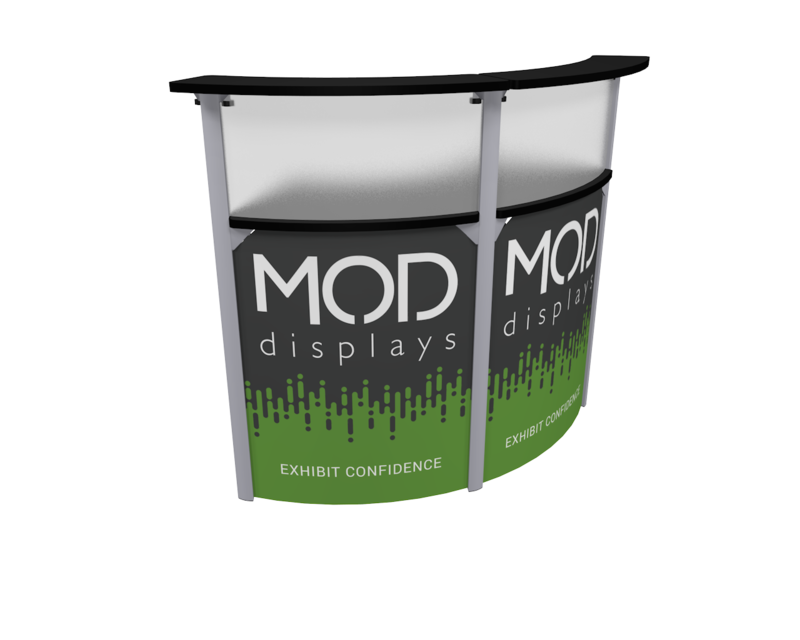 The vertical supports of the counter are durable aluminum extrusions, and the counter panels are made from a thick, rigid plastic. 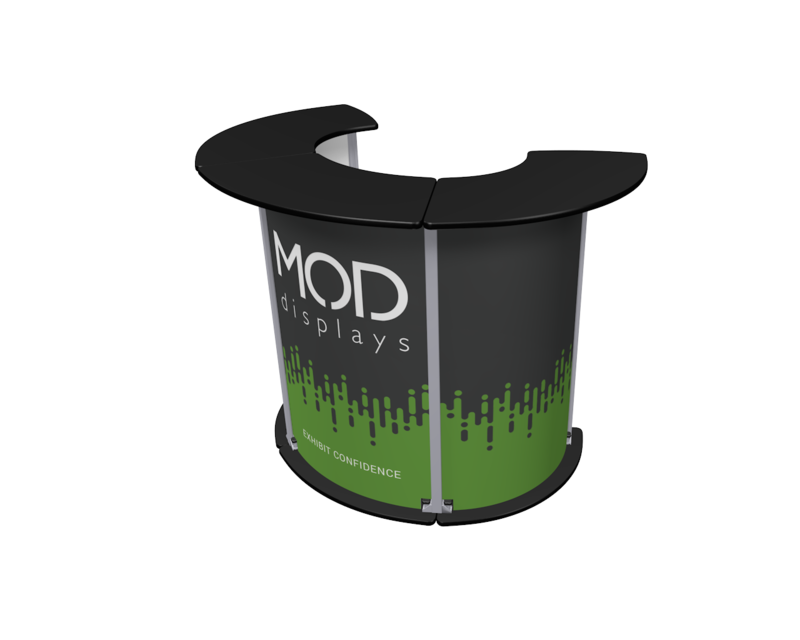 The top is produced with laminated plywood for superior strength. 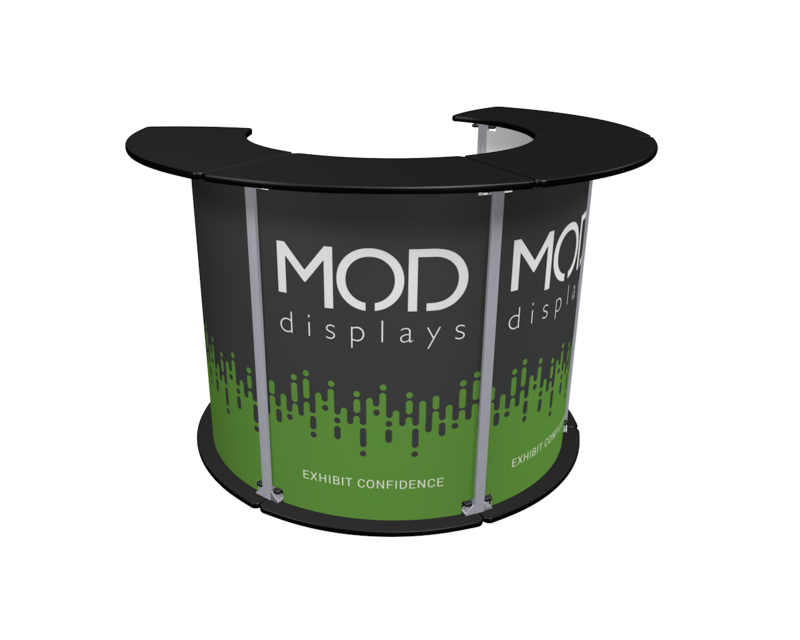 The countertop comes in your choice of laminates, and the side infill panels come in your choice of Sintra. 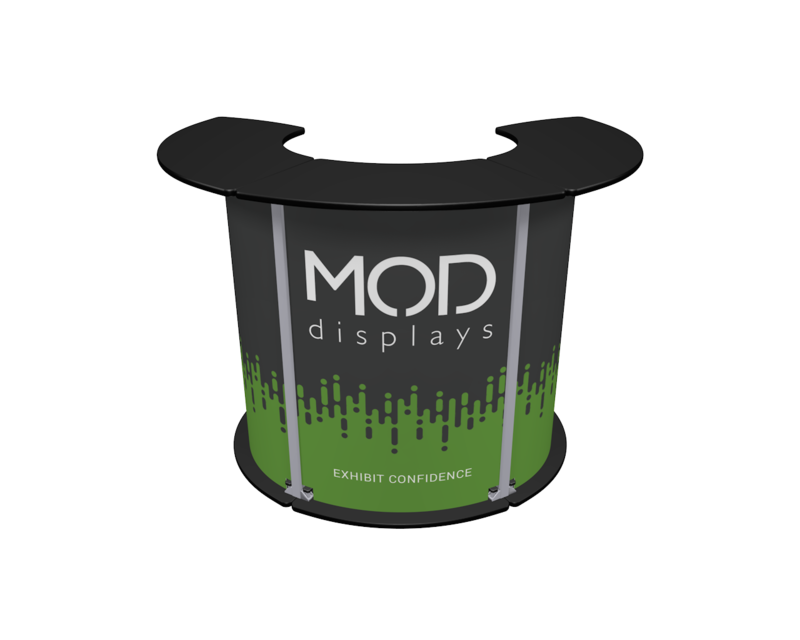 Sintra is a durable plastic material that is commonly used in the trade show industry. 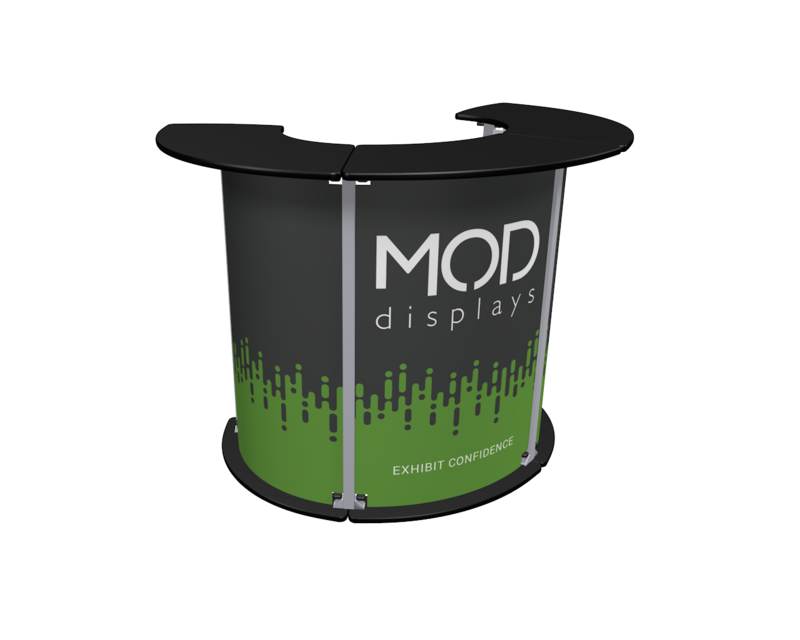 We do offer the option for a full digital direct UV resistant print on the infill panels.